Now that Thanksgiving Day has passed us by, we are in full swing to prepare for the Christmas season. For all of you holiday party planners, did you know that not only can we create a fun theme with a complementing décor design, provide entertainment, and embellish your tables and buffets, but most importantly, we can provide you with the necessary items for you to do it yourself! For all of you D.I.Y. fanatics, we offer our customers the option to rent linens, chair covers, sashes, vases, votives, candelabras, furniture, and more! Here are a few décor accessories that you can use for your upcoming holiday party! 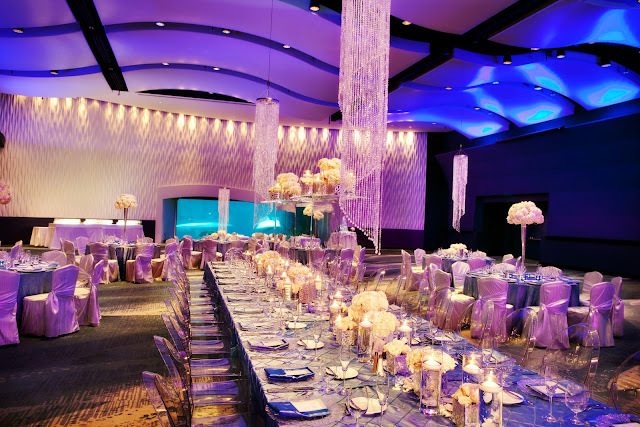 Do you want to accent the event space with warm lighting to complete your design? Consider adding votives around your centerpieces, along the bar, and on the buffets for a subtle lighting effect. Embellish ordinary buffet tables with a sophisticated spandex cover for a more appealing look. Choose from a variety of colors to complement your theme! When designing your event, don’t forget about the entrance of your venue. Your guests will be pleasantly surprised when they arrive and find that you’ve welcomed them with a grandiose entrance created with festive displays and florals or lanterns hanging from shepherd hooks on each side of the entranceway. After eating, drinking, and dancing, you would like to provide a space for your guests to sit and mingle. Consider creating a lounge area for your guests to get off of their feet! Couches, chairs, banquettes, tables, and other furniture accessories are available for rent to create a lounge area at your holiday event. 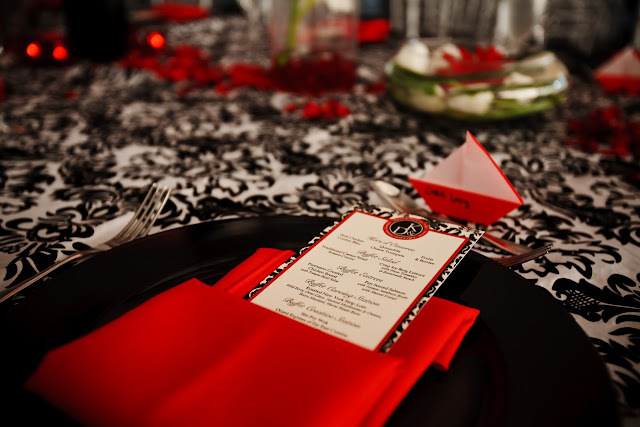 A must-have for any event design are quality linens and chair covers. Instantly, the design of the space is conformed by adding that sophisticated touch. These are great for any holiday affair that will be serving dinner. An easy way to complete the design of your guests tables is by adding chargers and napkins. These simple items add a dimension to your table design that would otherwise feel empty if they were not featured on the tables. Great for holiday dinners! Let us know how we can help you complete your event planning list this holiday season! I was working on my dissertation when I realized that I just wouldn’t have time to write it. I looked on Google and searched for a provider of the service I was looking for. WHen I found , it looked really legitimate at first. I went through their blog, samples and other site pages and I was really convinced that this company was going to hook me up with a decent writer. So, before I bought I actually searched for “ Reviews” and “” to make sure that other people did not get ripped off. I found a few pissed off complaints, but nothing major that a business doesn’t face. I decided to give them an honest chance. Well, I paid roughly $600 for a dissertation to be done in a few weeks. The writer made my a bit nervous because he didn’t seem to have very good grammar in his messages, although he had very high ratings and had done over sixty orders. But after getting my first draft, I realized that I was just another scam victim. The paper made no sense, my professor told me that I was going to fail if I brought him any more garbage like that. He saw right through my whole plan because the quality of writing was so poor. I quickly realized that my writer was NOT American. He did not speak English and certainly could not write well. Despite this, I went back to and asked for a revision from a different writer. They didn’t want to help me and told me that “this is just their system” and it’s community oriented with ratings. I asked myself, if this guy had such a high rating, what would a low rating writer look like? At this point, I realized that I wasn’t going to get a good paper from so I just decided to get my money back and write it myself. But their support people didn’t want to help me get my money back for the poor job. They even threatened me by saying that they will file for copyright suit if I didn’t shut my mouth. Well, I am a computer science nerd and know how to build websites. I guess they just pissed off the wrong person. I cut my losses and let them take my money, but I have to make sure that others don’t get ripped off like I did. Sorry, take great care while choosing writing help companies. We all know that almost everyone wants to gucci replica own the hottest designer handbags, but for most of us, so spending too much. Those who put money on such luxuries are the only one who can buy these luxury. Do not worry, because there are many stylish and elegant replica handbags for sale at very reasonable prices. Read these tips and suggestions that can tell you where to buy replica handbags. Replica handbags handbag or impostors demand is on the rise these days, perhaps because the economy is still declining or have a lot of http://www.ghwcc.org/sendmail.asp customers do not want to spend money on expensive luxury brands. Today, these handbags can be found anywhere there can even work in shops and discount stores. Of course, the replica handbags looks like a real luxury luggage design, they want to copy or imitate. Impostor bags for cheap is one of the usual reasons, there are many people, especially women buy them. Anyway, some of replica handbags handbags and most of them are good quality mimic the appearance of brand products. We all know that not everyone can buy the latest designer handbags in the market, especially in these prada replica days of economic slowdown and everyone is cash-strapped. There are thousands of dollars in the hands of ordinary people, it's something as extravagant luxury handbag designer is impossible. Replica handbags can help fashion "inalienable right to show off their beautiful handbag. This may be really hard to die-hard fashion fanatics, but when you can not spend $ 1,000 or more original or replica handbags luxury brand bag, apparently the next best thing. Today, there are some who also pointed out that, copy the project to chanel replica make money. This is why you will find all makes and models compare hundreds of retailers and online stores sell replica bags very affordable price, the original film. However, before buying anything, some things you should keep in mind about where and how to find the best bag.